Planning for a group that you need to impress? 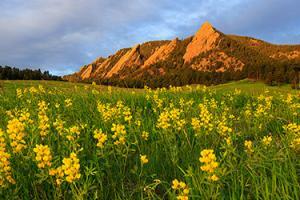 Pull out all the stops with this four-day itinerary that explores the very best of Boulder and beyond. 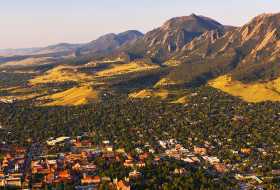 From the trail to the dinner table (and back to your luxury accommodations at the end of the day), your attendees won&apos;t stop talking about the amazing time they&apos;re having in Boulder. Upon arrival you will be met at Denver International for your private helicopter transfer to Boulder with Boulder Transport. The helicopter transfer will include information about Boulder and point out some of the major sights as you arrive. 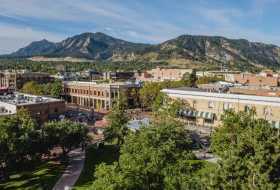 Check in at the St. Julien Hotel & Spa, a AAA Four-Diamond Property and a Forbes Travel Guide Four-Star Hotel centrally located in downtown Boulder. 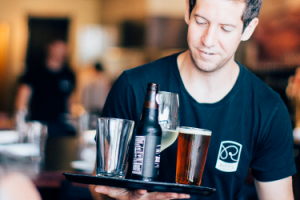 After you’ve checked in and gotten settled, meet your private guide in the lobby of the hotel to walk to some of Boulder’s best restaurants for drinks and a progressive dinner with Local Table Tours. Wake up for an early morning hot air balloon ride with Fair Winds Hot Air Balloon Flights and catered brunch. As is tradition, you’ll be treated to champagne when you land and a catered brunch before the day’s activities. Return to the hotel for a spa treatment at the award winning St Julien Spa or time in the sauna and pool before an afternoon private brewery tasting. Taste beer at Colorado’s first craft brewery, Boulder Beer and take a private tour of their facilities before heading to Avery Brewing for lunch and a tour of their brewery with the head brew master. Return to the hotel to freshen up before heading to James Beard Award-winning, Frasca Food & Wine, for a custom wine dinner featuring wines from Friuli, Italy. After breakfast at the hotel, depart early in the morning to hike in Rocky Mountain National Park with a private guide from Colorado Wilderness Rides and Guides. You’ll see turquoise blue lakes and the majesty of some of the Rocky Mountain’s highest peaks. 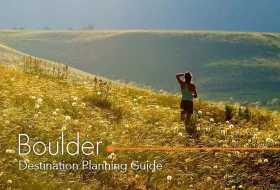 Your tour guide will pack a gourmet picnic to be enjoyed at the end of your hike before returning back to Boulder for an afternoon volunteering on a farm. You may spend time learning about the trend of bio-dynamic farming or playing with baby goats. The day will end with a delicious farm dinner made by an award-winning chef who will use produce from the farm you spent time at during the afternoon. After breakfast at a local restaurant, choose how you would like to spend your morning. Would you like to catch some browns on the Boulder Creek? Sign-up to head up stream to learn how to fly-fish. For lunch, you’ll grill up your bounty and sip on craft brews. If you’d rather be on the water than in it, sign-up to go white-water rafting south of Boulder in Coal Creek Canyon. The guides will bring lunch along to be enjoyed at the end of your journey. Want something a bit tamer? Take a historic tour of Boulder that won’t have you breaking a sweat on electric cruiser bikes with Boulder Tour Company. You’ll have lunch at a local restaurant along the way. Return to the hotel to freshen up and rest before an afternoon cooking class at Food Lab. From Food Lab, hop on a bus to be taken to Red Rocks for a show, and tailgate with Colorado craft beverages and catered cuisine including some of the food you cooked up at Food Lab. You’ll also get a backstage tour of Red Rocks, one of the country&apos;s most lauded music venues.